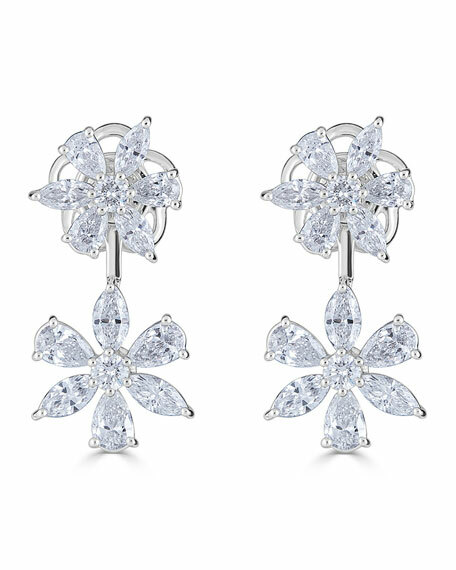 Prong-set diamonds form two flowers. Round diamond center with six petals. 4.97 total diamond carat weight.